For years, gaining attention for forced organ harvesting in China was difficult to achieve because the crime itself was too horrible to believe. This understandable horror may now be leading some observers to be too eager to believe this atrocity has now ended. Take, for example, Dr. Francis L. Delmonico, past president (serving 2012–2014) and current council member of The Transplantation Society, which provides “global focus for leadership in transplantation,” according to its website. Delmonico was a witness at a June 23 joint sub-committee hearing of the House Foreign Affairs Committee, which met to consider a new report that demonstrates that forced organ harvesting has been much larger in scale than previously thought. The report estimates that in the years 2000–2015, the Chinese regime performed between 60,000 and 100,000 transplants per year, with the primary source of organs believed to be Falun Gong practitioners. Forced organ harvesting in China has been much larger in scale than had previously been thought. Delmonico did not deny that horrible things have been done in China, but he nonetheless brought an optimistic message about transplantation there. His hopefulness hangs heavily on the credibility of one person, a Chinese transplant surgeon and bureaucrat named Huang Jiefu. In Delmonico’s telling, Huang would lead reform through a foundation set up to run organ transplantation. Unfortunately, there is no foundation with such authority. According to Delmonico, Huang is leading the way for the ethical reform of China’s transplantation industry. Unfortunately, Huang has no credibility. He lacks authority to lead reform in China, and those who have authority have not adopted his pronouncements as their own. Moreover, Huang has in the past had a clear conflict of interest in reforming the sourcing of organs for transplantation. Also, in Delmonico’s telling, Huang would lead reform through a foundation set up to run organ transplantation. Unfortunately, there is no foundation with such authority. 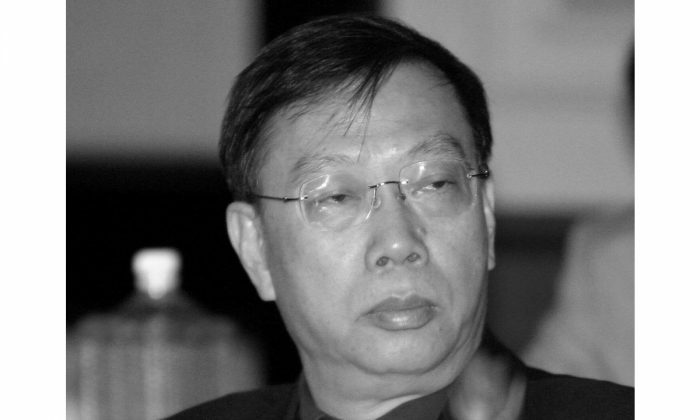 A former vice minister for health, Huang has been the regime’s PR man for organ harvesting since 2005, a year before the allegations of forced organ harvesting from prisoners of conscience were first reported. According to Huang, since Jan. 1, 2015, China has stopped using organs from executed prisoners. Let’s assume this claim is true, even though the Chinese state has never confirmed this announcement. One immediately sees that there is a gap between the number of organs said to be donated and the official number of transplants said to be performed. In 2015, the official tally is that 2,766 citizens donated a total of 7,758 main organs. But 11,000 transplants were said to have been performed. If there is no stable and endless organ source, where did Huang’s confidence in calling for more hospitals and doctors come from? Considering that there are said to be 22,000 patients in China each year who can afford transplant surgery, out of 300,000 on the wait list, the gap between the number of transplants actually performed and the number of freely donated organs becomes greater. These official numbers suggest the bottleneck in China’s transplantation industry is the availability of organs. But one can see another gap: a discrepancy between what the official numbers show and what Huang says is the situation with organ harvesting in China. In an October 2015 interview with Beijing Youth, the official newspaper of the Communist Youth League, Huang said that given the number of organs donated by citizens, the main bottleneck would be a shortage of qualified doctors and hospitals. He said that the goal for 2016 was to expand the qualified hospitals from 169 to more than 300, and to train 400–500 young doctors. He also wanted to include transplants into the medical care system, which means more patients from the waiting list of 300,000 transplant-qualified patients could afford the cost. If there is no stable and endless organ source, where did Huang’s confidence in funding more patients and calling for more hospitals and doctors come from? Did the Chinese regime really stop using organs from executed prisoners in 2015? Nobody knows. What we know is that Huang, with no official government position at the time, announced that China would stop using executed prisoners’ organs. His statement was not a law. It was not a departmental policy or regulation, and the departmental regulation in 1984 that allowed the use of organs from executed prisoners has never been rescinded. There is no reason to believe what Huang said unless we choose to believe in him. The regulation in 1984 that allowed the use of organs from executed prisoners has never been rescinded. When Huang started to promote the so-called reform of organ donations, he was not just the vice minister of health. He was also a transplant surgeon who had performed hundreds of transplants every year. As a transplant surgeon, Huang benefited from an endless organ supply from prisoners of conscience, with perhaps a small portion coming from other executed prisoners. If Huang were really involved in the reform of organ donations, the more he reduced illegal organ harvesting, the fewer organs he would be able to get for his transplants. This conflict of interest calls Huang’s reliability into question. Even when he was still the vice minister of health, Huang didn’t represent the Ministry of Health in statements he made. What he said only appeared in the Chinese media, not in any public policy of the ministry. Moreover, Huang’s PR has never been endorsed by any government official nor government department. His titles related to transplants were never listed on any official government website. On what authority has Huang made so many promises? None. However, there was still a loophole for the regime—because none of the agencies from the Party or the government had endorsed Huang’s public relations performance, there was no need for the regime to honor what he said. But there was also no need for anyone else to give credibility to Huang. The regime recently realized that it had made a mistake. On April 28, the National Health and Family Planning Commission (NHFPC) issued a “Notice to Adjust the Members of China Human Organ Donation and Transplant Committee.” Using the word “adjust” is very strange, since that committee’s name and the names of its members had never appeared on the commission’s or any government website, prior to this notice. How could anyone “adjust” something that had not existed before? But the notice at least gave Huang a kind of endorsement. According to Delmonico, the transplantation system in China are now run by a foundation, not the state. The entire development of transplantation in China has depended solely on the public security and judicial systems. It has never been an issue governed by the medical profession. It has always been a political and economic issue. The new organ donation system does not provide enough organs for China’s transplantation industry. The Phoenix TV host’s language—”whacking a big tiger”—refers to the arrest of Zhou Yongkang for corruption in December 2014. Zhou was tried and sentenced to life in prison in June 2015. Huang also said that without the support of former Party head Hu Jintao, former Premier Wen Jiabao, and current Party leader Xi Jinping and Premier Li Keqiang, stopping the use of executed prisoners’ organs for transplants would be hard to accomplish. Huang’s statements on Phoenix TV are hard to understand even for most Chinese people reading the original Chinese. It seemed that Huang was blaming Zhou’s legal system for sourcing organs from executed prisoners, which he had just praised. It was not that simple. Zhou’s security forces provided doctors with organs from executed criminals and organs pillaged from prisoners of conscience. The interview hints that the prosecution of Zhou was, in part, aimed at stopping the forced harvesting of organs. Zhou was the chief of the security forces, not the chief of medicine. He should have had no power to force doctors to use organs from executed prisoners or prisoners of conscience. If the doctors refused to use the organs, the practice could have easily been stopped or even never begun. What prevented this? Either the doctors didn’t want to stop using organs procured from the security forces, or Zhou had the power to force them to use the organs. In either case, the doctors were not able to solve the problem. The CCP only wants the international community to believe that there is a new organ donation system. If the use of organs from executed prisoners couldn’t be solved by Hu Jintao and Wen Jiabao, because of the involvement of Zhou and his security forces, how could this be settled by Huang and medical professionals? Huang only has one official government title, deputy director of the Central Health Care Committee, which takes care of the health of top cadres. The CCP has let Huang do public relations work not because Huang can make the system work but because the new system itself is a hoax. The CCP only wants the international community to believe that there is a new organ donation system. The regime is not concerned with whether the system works or not. Does it work? Maybe partially or on the surface, but definitely not at the scale that has been claimed. And the system does not provide enough organs for China’s transplantation industry, as some have imagined. Can a foundation be in charge of transplants? In China, not-for-profit organizations are not allowed to register alone. Most of them must register under state organizations. Some real NGOs had no choice but to register as for-profit companies. The regime can easily destroy such an organization by charging it with tax evasion. The NGO Open Constitution Initiative was dealt with in this way. Delmonico testified at the hearing that the foundation in charge of transplantation paid for his travel to China. Even if there is a real foundation that paid for Delmonico’s trips to China, it still has nothing to do with handling transplants. This doesn’t need to be proven. There is not a single issue that is handled by any foundation in China. If anyone wants anything done in China, the first thing needed is to get the approval from the government or the Party, not to set up a foundation. Huang Jiefu has claimed that the international transplant community unconditionally accepted Chinese colleagues in 2015. To stop the organ harvesting from prisoners of conscience, it’s important for the international community, especially the transplant community, not to hastily accept the CCP’s propaganda and public relations. Thanks to the new report discussed in the June hearing, the evidence for the massive harvesting of organs—in numbers far too great for executed prisoners to provide the organs—is now extensive and detailed. Researchers believe the only source for the great majority of these organs has been Falun Gong practitioners. The crimes should be investigated and the criminals brought to justice. Even if the crime of harvesting organs from prisoners of conscience has stopped, there is nothing to praise. The crimes should be investigated and the criminals brought to justice. That is what the international transplantation community should work to support. An anecdote suggests the researchers are right, and shows how one Chinese surgeon responded to the new source of organs that became available after the persecution of Falun Gong began. Perhaps Dr. Delmonico should seek out this surgeon for input on how to establish ethical organ transplantation in China. A Falun Gong practitioner, Shang Shiying, was a nurse in the urology department at the Tangshan Workers Hospital. Before 1999, her department used kidneys from executed prisoners for transplants. After the persecution began in 1999, Shang left the hospital. Heng He is a columnist for the Epoch Times.